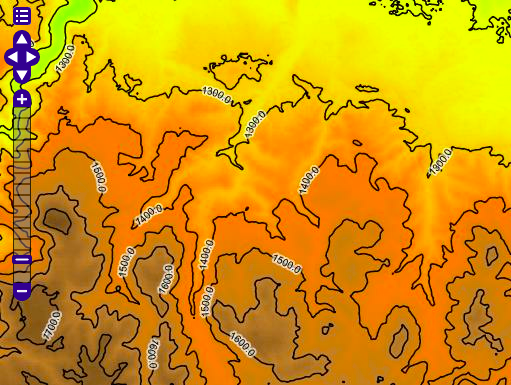 Rendering Transformations allow processing to be carried out on datasets within the GeoServer rendering pipeline. A typical transformation computes a derived or aggregated result from the input data, allowing various useful visualization effects to be obtained. Transformations may transform data from one format into another (i.e vector to raster or vice-versa), to provide an appropriate format for display. Vector-to-Raster BarnesSurfaceInterpolation computes a surface from scattered data points. Heatmap computes a heatmap surface from weighted data points. Vector-to-Vector PointStacker aggregates dense point data into clusters. Rendering transformations are invoked within SLD styles. Parameters may be supplied to control the appearance of the output. The rendered output for the layer is produced by applying the styling rules and symbolizers in the SLD to the result of transformation. Rendering transformations are implemented using the same mechanism as Process Cookbook. They can thus also be executed via the WPS protocol, if required. Conversely, any WPS process can be executed as a transformation, as long as the input and output are appropriate for use within an SLD. This section is a general guide to rendering transformation usage in GeoServer. For details of input, parameters, and output for any particular rendering transformation, refer to its own documentation. Using Rendering Transformations requires the WPS extension to be installed. See Installing the WPS extension. The WPS service does not need to be enabled to use Rendering Transformations. To avoid unwanted consumption of server resources it may be desirable to disable the WPS service if it is not being used directly. Rendering Transformations are invoked by adding the <Transformation> element to a <FeatureTypeStyle> element in an SLD document. This element specifies the name of the transformation process, and usually includes parameter values controlling the operation of the transformation. As an SLD environment variable, whose actual value is supplied in the WMS request (see Variable substitution in SLD). As a predefined SLD environment variable (which allows obtaining values for the current request such as output image width and height). The order of the supplied parameters is not significant. Most rendering transformations take as input a dataset to be transformed. This is supplied via a special named parameter which does not have a value specified. The name of the parameter is determined by the particular transformation being used. When the transformation is executed, the input dataset is passed to it via this parameter. The input dataset is determined by the same query mechanism as used for all WMS requests, and can thus be filtered in the request if required. 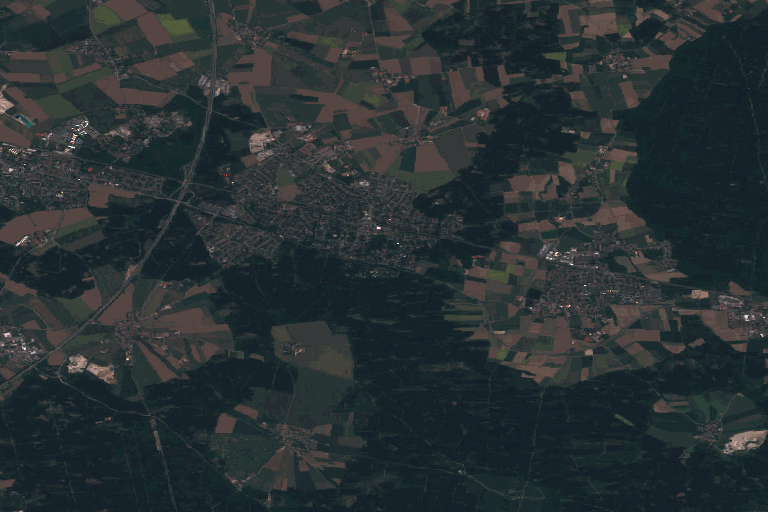 In rendering transformations which take as input a featuretype (vector dataset) and convert it to a raster dataset, in order to pass validation the SLD needs to mention the geometry attribute of the input dataset (even though it is not used). This is done by specifying the attribute name in the symbolizer <Geometry> element. The output of the rendering transformation is styled using symbolizers appropriate to its format: PointSymbolizer, LineSymbolizer, PolygonSymbolizer, and TextSymbolizer for vector data, and RasterSymbolizer for raster coverage data. Rendering transformations may not work correctly in tiled mode, unless they have been specifically written to accomodate it. ras:Contour is a Raster-to-Vector rendering transformation which extracts contour lines at specified levels from a raster DEM. The following SLD invokes the transformation and styles the contours as black lines. Lines 14-15 define the rendering transformation, using the process ras:Contour. Lines 16-18 supply the input data parameter, named data in this process. Lines 19-29 supply values for the process’s levels parameter, which specifies the elevation levels for the contours to extract. Lines 35-40 specify a LineSymbolizer to style the contour lines. Lines 41-70 specify a TextSymbolizer to show the contour levels along the lines. vec:Heatmap is a Vector-to-Raster rendering transformation which generates a heatmap surface from weighted point data. 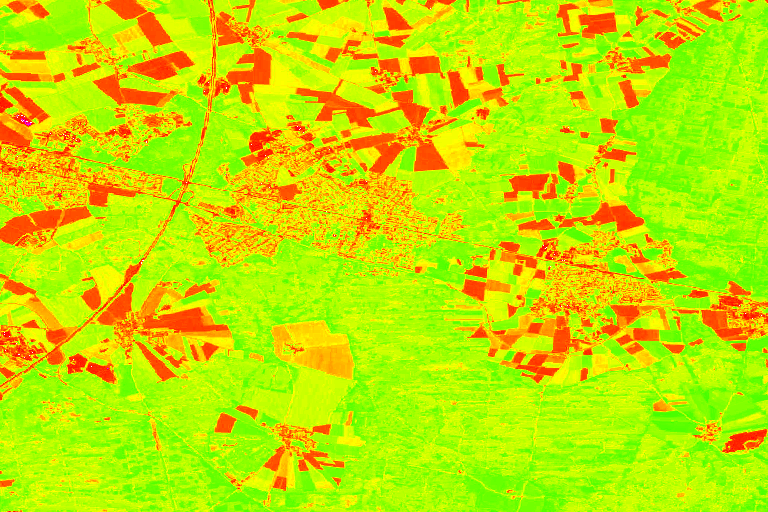 The following SLD invokes a Heatmap rendering transformation on a featuretype with point geometries and an attribute pop2000 supplying the weight for the points (in this example, a dataset of world urban areas is used). The output is styled using a color ramp across the output data value range [0 .. 1]. Lines 14-15 define the rendering transformation, using the process vec:Heatmap. Lines 19-22 supply a value for the process’s weightAttr parameter, which specifies the input attribute providing a weight for each data point. Lines 23-29 supply the value for the radiusPixels parameter, which controls the “spread” of the heatmap around each point. In this SLD the value of this parameter may be supplied by a SLD substitution variable called radius, with a default value of 100 pixels. Lines 30-33 supply the pixelsPerCell parameter, which controls the resolution at which the heatmap raster is computed. Lines 34-38 supply the outputBBOX parameter, which is given the value of the standard SLD environment variable wms_bbox. Lines 40-45 supply the outputWidth parameter, which is given the value of the standard SLD environment variable wms_width. Lines 46-52 supply the outputHeight parameter, which is given the value of the standard SLD environment variable wms_height. Lines 55-70 specify a RasterSymbolizer to style the computed raster surface. The symbolizer contains a ramped color map for the data range [0..1]. Line 58 specifies the geometry attribute of the input featuretype, which is necessary to pass SLD validation.